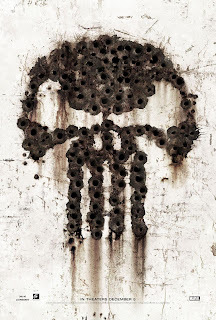 Punisher:War Zone is the upcoming Punisher reboot, which will be directed by Jonathan Hensleigh. It will be released December 5th, 2008. Starring Ray Stevenson (HBO's "Rome") as Punisher, "Punisher: War Zone" is directed by Lexi Alexander and produced by Gale Anne Hurd and Ari Arad. The film's executive producers are Kevin Feige, Ogden Gavanski, Oliver Hengst and Jeremy Latcham.